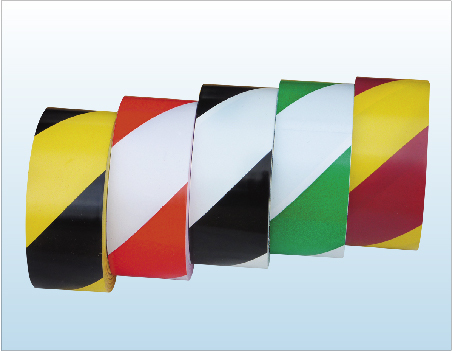 Hazard Warning Tape comes with alternative colored stripes and is designed to mark floors and objects to identify safety areas or situations that are required under the Occupational Safety and Health Act (OSHA). The natural rubber adhesive system provides high initial bond strength to most surfaces. Total Thickness : 7 Mil.